Disability benefits for those living with HIV/AIDS are possible by thoughtful development of evidence. 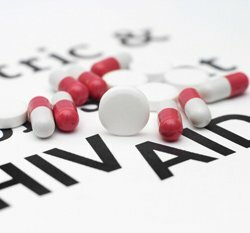 The dramatic improvements in medication regimens for people living with HIV and AIDS have changed the way Social Security disability benefits for those living with HIV/AIDS are handled as disability claims. Improvement may appear to have taken place in HIV, because T-cell (CD-4) counts have risen and viral loads have fallen. This can happen even in the presence of a history of one of the major opportunistic infections. Judges and Social Security staff often seem to be looking only at improving lab values, while ignoring a history of opportunistic infections and actual functional levels which include fatigue. Cases of co-infection of AIDS with Hepatitis C are on the rise, and many in the medical community view this co-morbidity as a third disease, each condition exacerbating the other. The Interferon treatment for Hepatitis C can create side-effects that are disabling in themselves. This is a complex case for a disability claim, and takes careful development by an advocate to evaluate all the facts. Many cases can be won solely by developing the evidence of fatigue. This simple but debilitating element of HIV is so taken for granted by medical personnel that sometimes it is not even recorded in the medical records. If this information can be gathered and submitted to the judge, a case may sometimes be granted without the necessity of a hearing. This is especially true if the physician ties the patient’s complaints of fatigue to the laboratory findings in the record. A history of one of the major infections associated with HIV should technically be enough to qualify for benefits. In practice, cases seem to be denied as “not severe” enough. Developing the evidence becomes more complicated in these cases, which used to be won fairly automatically. Obtaining accurate information from a treating physician on the person’s functional level is the key here, and Social Security may not obtain this. The question of returning to work is a thorny one, involving a consideration of the entire constellation of benefits – medical insurance, co-payment programs, any subsidized housing, and availability of continued benefits through Social Security’s new work-incentive programs. If you are seeking Social Security benefits for AIDS/HIV, we can help. Call our office for a free consultation. AIDS.gov – Site has a service locator, blog and the latest research information. Social Security disability benefits for people living with HIV/AIDS – pdf publication from SSA on benefits and next steps.